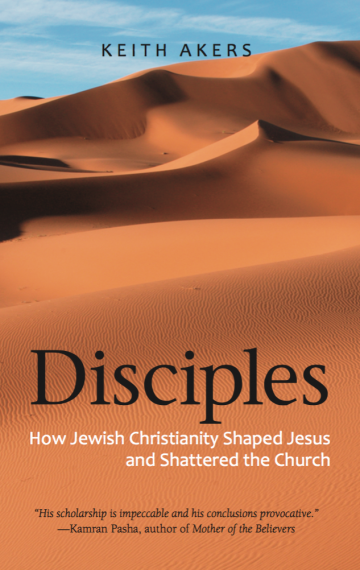 A book about the disciples of Jesus would typically start with Jesus himself: first there was Jesus, then he had disciples. This book suggests a fundamentally different story: first there was a movement, then Jesus emerged as its leader. This movement was markedly different from both rabbinic Judaism and gentile Christianity. It became known to history as “Jewish Christianity”—Jews who followed both Jesus (as they understood him) and the Jewish law (as they understood it). These first disciples affirmed simple living, nonviolence, and vegetarianism, and rejected wealth, war, and animal sacrifices. Some two decades after Jesus was crucified, they split with their most famous missionary, Paul, over the issues of vegetarianism and eating meat from animal sacrifices. The history of Jewish Christianity takes our understanding of Christian origins into a completely new realm.